Junk Removal in Crows Nest? Just 5km North of Sydney’s CBD, Crows Nest is situated in a prime location in North Sydney. Right in between the Pacific Highway and the M1 Motorway, it’s easy to get on the road and head to wherever you’d like. It is a very busy area, and you’ll have to fight the traffic most of the time, but like all busy places, they’re popular for good reason. Many Crows Nest residents do have jobs in the CBD or surrounding areas, and live a busy life with various commitments outside of work. Properties aren’t huge in this area either, so when things go wrong with furniture, white goods, etc., there’s not a lot of room to store them and no time to try dispose of them. If you’re in a situation like this where you’ve got junk that needs to go, but have been to busy to try an work out a way to get rid of it, you’ve come to the right place. 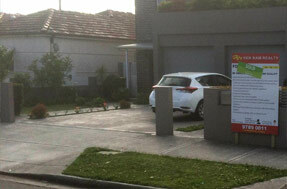 Give Same-Day Rubbish Removal a call, we can collect your waste today at a very affordable rate. 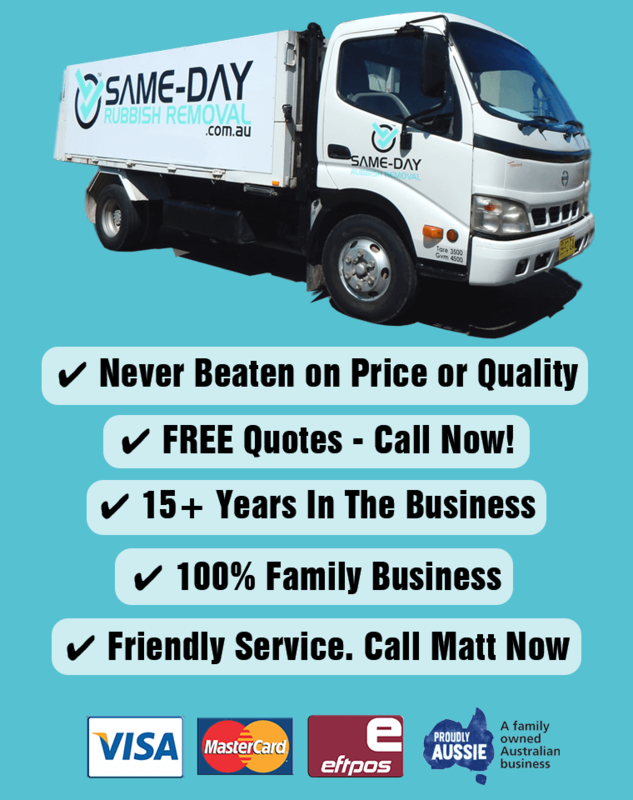 We’ve spent a lot of time and effort refining the way we work so that we can provide the fastest, easiest and most affordable rubbish removal service in all of Sydney – we’ve done it – you won’t find a better service! Many people think that taking their trash to the tip themselves is going to be the best way to dispose of it, however, they don’t factor in all the hidden costs. Unless you drive a ute right past a tip every day and actually have the time to load up and drop off your items, our service is going to be better value. Our team are loading up our trucks with all sorts of things every day, so we’re very fast, and we also know the best spots to dispose of your junk. Whenever we can, we try to recycle your waste, because we’ve seen the devastating effects garbage is having on the environment. We hate to see completely recyclable items being sent to landfill, you can trust us to dispose of your junk responsibly. Our amazing service isn’t exclusive to Crows Nest, we service homes and businesses right across Sydney. It doesn’t matter what type of rubbish you’ve got either, we can take it all away. Whether you have an old washing machine and a pile of green waste in Blacktown, a bed base and mattress at your Chatswood home, or a stack of old computers and e-waste at your business in the CBD, Same-Day Rubbish Removal can do it. Our past customers keep coming back because they love the level of service we provide and they know that we keep our word. 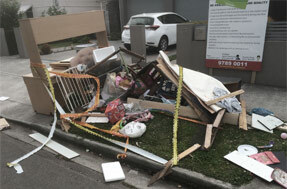 If you’re ready to have your place free of junk, don’t wait any longer, give us a call now on 0402 737 046. You won’t believe how great our prices are until we give you a free quote, you’ll be wishing you had made contact with us sooner.